The International Commission on Global Improvised Arms Proliferation…. 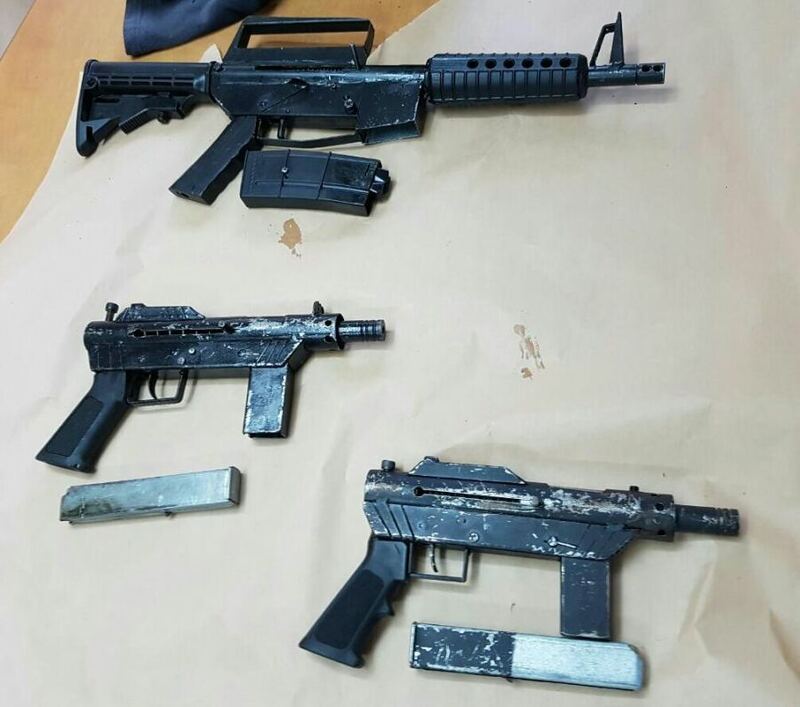 Locally made submachine guns seized by Israeli police during operations in January. This entry was posted in Submachine guns and tagged Carl Gustaf, Carlo pistols, homebuilt, homebuilt guns, homemade firearms, homemade gun, homemade guns, homemade SMG, homemade submachine guns, Israel on March 25, 2017 by ImproGuns.